Research seems to have filled every spare moment this April, but how important is it? What a busy start to the month I have had so far, with Easter holidays, birthdays and plenty of interest from people I feel like the year may have finally truly begun for RedRite and hope the shower of interest this April will help my business bloom like the flowers of May. One of the biggest services I have had an interest in this month is research. I have had clients who are looking to expand their connections and need help researching suitable individuals and businesses to contact. Clients who are interested in a particular app but want the full story and alternatives before making the final decision, and clients who need a little help coming up with blog content. All different types of research but each just as important as each other to the recipients. Research can come in a variety of forms, even watching the evening news can alert you to so much information that you can put to use, or converse with others about and expand your knowledge more. With so many access points to use when researching the amount of content out there is phenomenal, and finding what is relevant to you and what is not can be a tricky task. In my recent University studies I have been looking at information management and it is intriguing how the theories taught in the book can give insight to the way we research. Every action of research starts with the need to obtain knowledge and to find it first a person needs to investigate the data available to them. For example you want to obtain knowledge regarding new technologies for your business. You can do a Google search for new technologies and those results are your data. This data then becomes what is known as capta (the process of Capturing Data) when you go ahead and click on several of the search results to investigate further. The data provided on each of those web pages are turned in to information because you are taking on board the data in front of you, making an opinion regarding it and placing in to context – the use the technology may have for your business. Once the information is applied in theory to its possible impact on your business you then hold the knowledge of new technologies for your business. 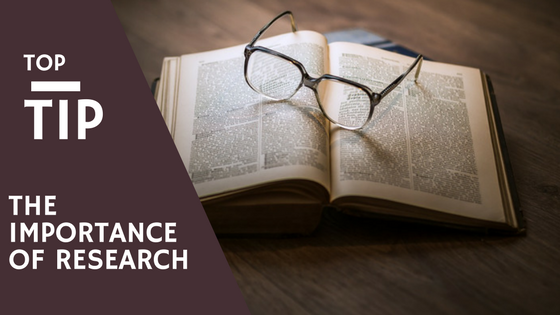 Research can be a time consuming aspect of everyday life in a business and sometimes not everyone has the additional time it takes to find the information they need to make an informed decision. Many apps and businesses obtain business purely because they are suggested to them or they happen to catch a fancy looking advert, when in reality there could be something far more suited to their needs out there. Unfortunately freedom of time makes the decision for a business owner in these situations rather than financial aspects or easier usability aspects and in the long term may end up costing the business more time and money. Save a few quid by hiring someone to do the research for you. All it will take is to read over a well-structured document listing pros and cons of each app, the ease in which each app would fit with your company and any other information you require. We at RedRite would be more than happy to help.